A U.K. 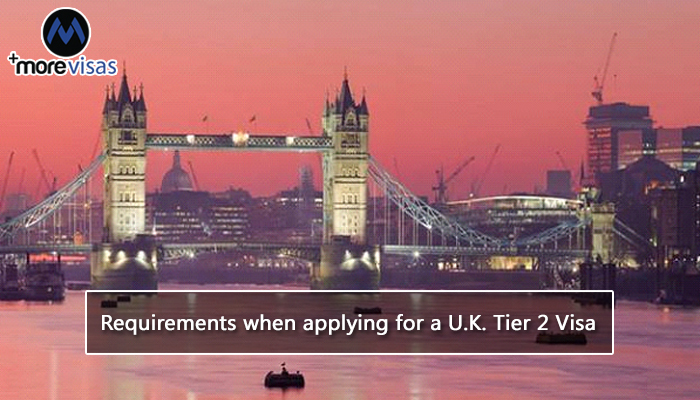 Tier 2 Visa may be offered to individuals that have been offered a skilled job in the United Kingdom or if the individual is from outside the European Economic Area (EEA). Before such an individual can apply for this visa, he /she must possess a certificate of sponsorship from a sponsor that is licensed in the U.K. and the work to be done has to be related to the work of the sponsor organization. The eligibility criterion involves a number of steps. Firstly, after receiving a certificate of sponsorship which is basically a reference number that shows the type of job to be undertaken and the applicant’s personal details, the applicant can then proceed to begin the application process. Apart from that, the individual also has to have an appropriate salary that is suited for the role that the individual will be working as. On average, the appropriate salary is estimated to be approximately €25,000 or less, but it depends on the type of profession that the individual will be working. Additionally, the applicant also has to have savings of approximately €945 in his/her bank account for the three months before the application to show that he/she is able to support him/herself. In some cases, the applicant may also be required to show his/her knowledge of English by passing an approved English Language Test or by having a higher academic qualification that was taught in English. An applicant also has to provide documents that will help in the process and they include a valid passport or traveling document, bank statements to show that the applicant is financially stable, a medical test for diseases such as Tuberculosis especially if the applicant is from an area with high risk of the disease. If the applicant is living outside the U.K., then he/she has to apply online for the U.K. Tier 2 Visa. After this, the applicant will have to go to a visa application center whereby he/she will have the biometric information such as fingerprints recorded. If living in the country, the applicant can apply to extend his/her Tier 2 Visa or apply for another type of Visa through the necessary institutions in the country. However, individuals living in North Korea cannot apply for this visa from their country and will have to seek further information on where they can apply for this visa outside their country. i love this site, all immigration information in one site. please tell me how can i apply for uk????? Nice information share you morevisas. can you please tell me how can i apply to Australia visa for work.